The Practical Guide to Platform-as-a-Service was written to help enterprise information technology (IT) managers, business decision makers, application architects and application developers understand the Platform-as-a-Service (PaaS) cloud service category and how it can be used to solve business challenges rapidly and cost effectively. This guide contains best practices for using PaaS in terms of architecture, development processes, integration, deployment and operation. Differences between traditional application development and delivery and the appropriate techniques for PaaS platforms are highlighted, since in many cases the biggest gains for the enterprise result from the adoption of newer, more efficient, more rapid and less error-prone techniques for creating, testing and deploying applications. 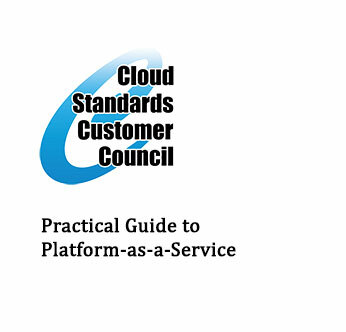 This paper was published by the Cloud Standards Customer Council, a program launched by the OMG in 2011 to advance the adoption of cloud computing. This work is now under the purview of the OMG Cloud Working Group. Copyright is owned by OMG. Visit www.omg.org/cloud to learn more.